Join us for a booklaunch with author Max Haiven who invites us to consider the limits of our creativity within the constraints of our economic system. How do we move beyond austerity and the colonization of creativity? Today, when it seems like everything has been privatized, when austerity is too often seen as an economic or political problem that can be solved through better policy and when the idea of moral values has been commandeered by the Right, how can we re-imagine the forces used as weapons against community, solidarity, ecology and life itself? In this stirring call to arms, Max Haiven argues that capitalism has colonized how we all imagine and express what is valuable. 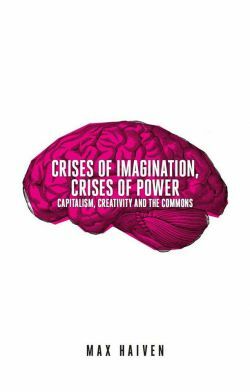 Looking at the decline of the public sphere, the corporatization of education, the privatization of creativity and the power of finance capital in opposition to the power of the imagination and the growth of contemporary social movements, Haiven provides a powerful argument for creating an anti-capitalist commons. Not only is capitalism a crisis itself, but moving beyond it is the only key to survival.